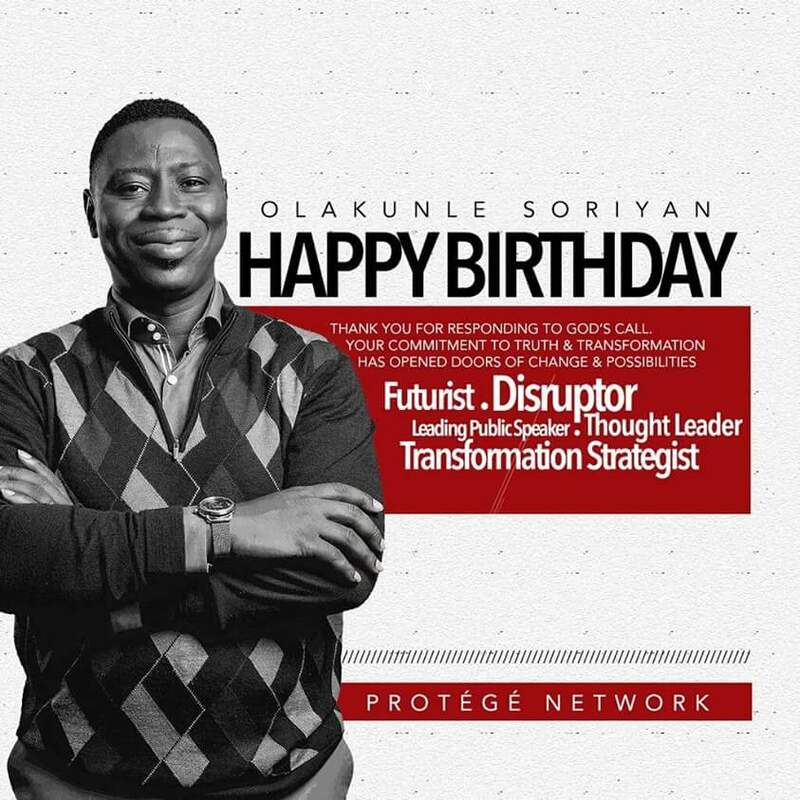 Happy Birthday to an iconic Thought Leader, Transformation Strategist, Mentor and President of the Olakunle SORINYAN Company, Pastor Kunle Soriyan. Thank You for redefining excellence and value, and for setting higher standards for this generation and beyond. Celebrating you today and always sir. This entry was posted on February 9, 2016 by Funmi Adebayo in Advertorials, Updates and tagged #CelebratingPK, #OlakunleSorinyan #PastorKunleSorinyan.